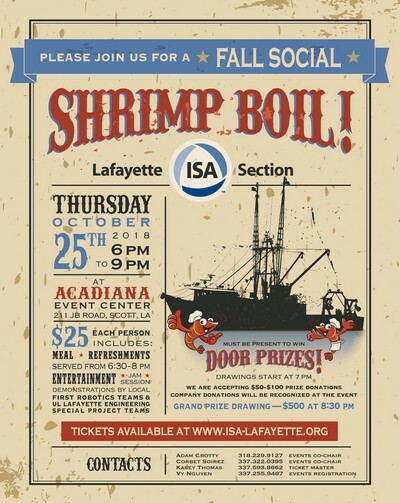 YOU ARE INVITED TO A SHRIMP BOIL!! 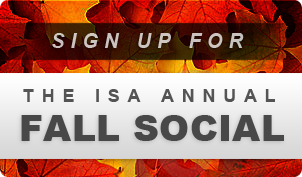 The ISA Lafayette Section (International Society of Automation) has scheduled our Fall Social on OCTOBER 25, 2018. Do not miss these large shrimp. Tickets will go fast so order yours before the event. Come join us and bring your spouse to Acadiana Event Center - 211 J.B. Road Scott, LA near Acadiana High School. We are accepting $50 to $100 door prize donations. 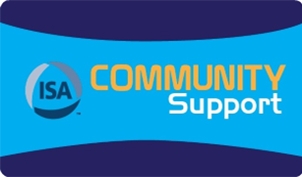 There will be company recognition for donated prizes. Online Purchased Tickets will be available at the Pre Purchase Table at the Event.